Want to immediately feel the results of your weight gain? Add testosterone suspension to your cure. Immediate effect ensured! Unlike other testosterones (Enanthate, Cypionate et Propionate), testosterone suspension does not have ester. In addition, it is suspended in water. These differences make testosterone suspension, an ultra powerful supplement, with immediate action. 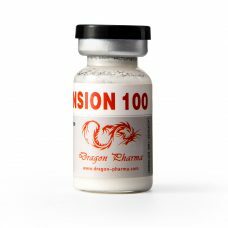 Thus, from the first hour of injection, the testosterone suspension will act on the construction of your muscle tissue. Testosterone suspension will also allow you to develop your strength and aggressiveness. Two essential factors to push your limits during training or competitions. It can also be combined with other steroids to maximize effects. To help you achieve your goals, top-steroids-online.com offers you a wide selection of testosterone suspension, from the most prestigious laboratories (La Pharma,Taiger Pharma, Meditech).